Kids won't need to wait for snow to have this snowball fight! 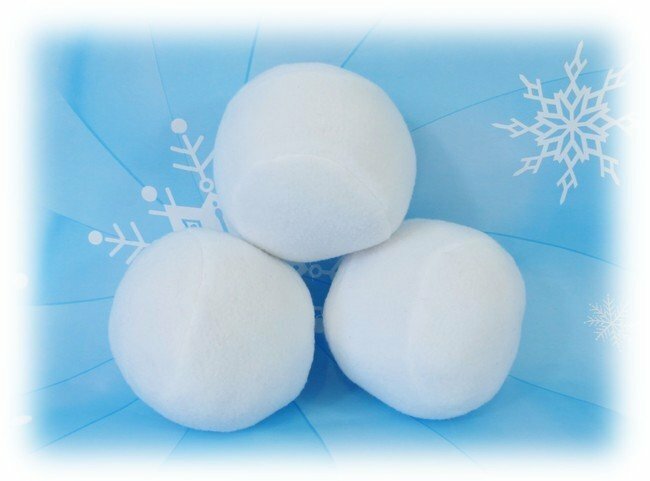 Fun indoor plush snowballs are easy to make and way more fun! They also make lovely under the Christmas tree decor or holiday centerpieces! - 1 PDF sewing pattern with instructions and pattern pieces to make a 4" plush snowball.